Niagara Parks is committed to making your visit incredible. While we take pride in ensuring our experiences are accessible whenever possible, many Niagara Parks historic buildings are over 100 years old. While most are accessible, some areas still need to be upgraded to create full accessibility. Regular admission will be discounted by 10% at attractions such as Journey Behind the Falls, White Water Walk and historic sites where full accessibility is not available. This discount does not apply if the customer is purchasing an admission package that is already discounted such as the Niagara Falls Adventure Pass and Niagara Falls Wonder Pass. Admission to facilities on Niagara Parks lands operated by a third party through a rental or lease agreement shall not be subject to the admission provisions of this policy but shall be subject to the requirements under AODA and other legislation as applicable. Admission fees and fares for accessibility support persons (when accompanying a person with a disability) who specifically identify themselves as support persons shall be waived at all Niagara Parks attractions and transportation systems. No identification will be required in order to waive the admission fee and fare. Show your Accessible Parking Permit when you pay to park at Niagara Parks and re-park on the same day at any other Niagara Parks paid parking lot. 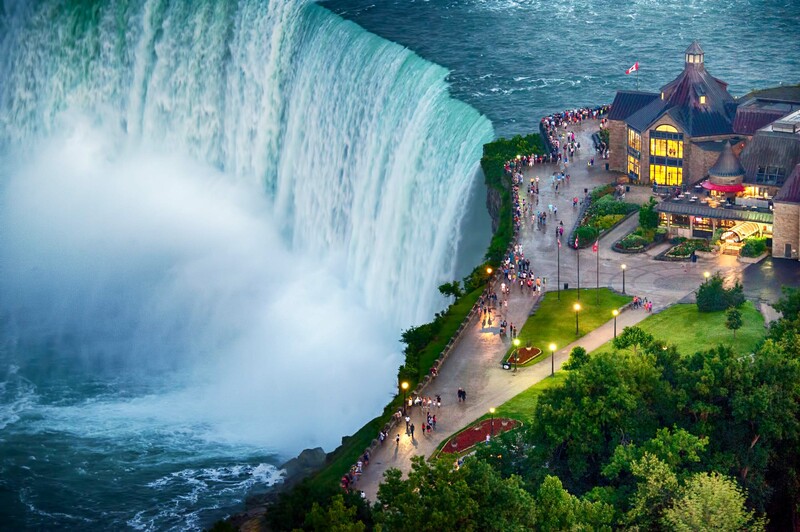 Niagara Parks venues that are accessible to persons with mobility disabilities include Table Rock, Niagara’s Fury, Butterfly Conservatory, Journey Behind the Falls, White Water Walk, Hornblower Niagara Cruises, and the Floral Showhouse. Please note that Journey Behind the Falls and White Water Walk offer limited access. Start your visit at Table Rock for the best view of the Falls! Park your vehicle just across the road at the Falls Parking Lot. Designated accessible parking is located at the foot of the ramp to the Bridge of Flowers, a covered and accessible pedestrian overpass into the Table Rock Complex, winner of the 2009 March of Dimes “Breaking the Barrier” Award for Accessibility. A number of wheelchairs are available to borrow for free at this location with a credit card imprint. The first thing you will see when you enter Table Rock is the entrance to the exciting Niagara’s Fury attraction. Entertaining and interactive, you will experience the creation of the Falls like you were actually there! Our staff will be pleased to assist you into the pre-show area as well as to enter and exit the main show. This main show has a moving floor, but there is an area where the floor does not move and you should not get wet. Also, complimentary raincoats are provided to protect you from the mist and spray used at this attraction. Please note that while the movie at this attraction is not closed captioned, a transcript is available in various languages, including English. Please ask staff for a copy. The Journey Behind the Falls is mostly wheelchair accessible. Elevators bring you down to the tunnel which goes one-third of the way behind the massive Canadian Horseshoe Falls. The wide, well-lit tunnel leads to the viewing portals behind the Falls and the upper observation deck. The lower observation deck at Journey Behind the Falls can be reached only by stairs but the view from the upper deck is still spectacular. Complimentary raincoats are provided to protect you from the mist at this attraction. Enjoy a leisurely meal as close as you can get to the Falls! Located on the upper level of Table Rock, Elements on the Falls Restaurant features a casual yet elegant atmosphere and open-flame cooking. Ramps provide access to window-side seating. Don’t miss the thrilling boat ride into the spray and the mist of the Falls! Ramps take you down to the boat, which has limited seating and an accessible washroom on board. There is also an area on the boat that is enclosed in glass so that you can enjoy the ride without getting wet. An elevator will take you back up to street level. Complimentary raincoats are provided to protect you from the mist at this attraction. The oldest tourism attraction in North America, these fully-accessible boats provide the ride of a lifetime! Discover raging whitewater from a boardwalk that is deep in the Great Gorge, right beside the rushing Class 6 rapids. An elevator will take you down to the 73-metre tunnel that brings you to the walkway along the water’s edge. At White Water Walk, the flat, wooden, 305-metre boardwalk is accessible; however, two small lower viewing decks can be accessed only by stairs. Benches are available at the beginning and end of the boardwalk. Paved paths wind through a rainforest atmosphere, featuring a waterfall and gorgeous displays of plants and blooms, all filled with over 2,000 colourful tropical butterflies. Benches are available along the path. Located just 10 minutes north of the Falls, convenient accessible parking is available at the front or rear of the building. Just follow the signs to enter the overflow parking area at the back entrance near the north end of the Botanical Gardens. A single wheelchair is available for use on a first-come, first-served basis at this location. The film has captioning available upon request, as well as transcripts in English or French. The historic park high atop the Niagara Escarpment, at the foot of Brock’s Monument, features several paved trails through the parkland to picnic areas and scenic lookouts. The patio at Queenston Heights Restaurant is open seasonally on weekends and holidays and features spectacular views of the Niagara River far below. Sunday brunch is also a local favourite. Located just south of the Falls, floral displays and free-flying tropical songbirds are on show all year round. In the Fragrance Garden, there is a collection of perennial and annual herbs and other fragrant species, and Braille plant labels giving information are available. A wheelchair is available for use on a first-come, first-served basis at this location. Legends on the Niagara, located just five minutes south of the Falls, was Ontario’s first golf complex to offer the SoloRider golf cart. Golfers with mobility disabilities can play a full round at any of Legends’ three courses, on a specially designed 350-degree swivel seat golf cart which elevates to allow players to tee off, putt and to travel on the greens and even into sand traps, due to its turf-friendly designed tires. To reserve your tee-time and the SoloRider, simply contact Niagara Parks Golf at 1-866-465- 3642 or 905-295-9595. Heritage Trail sites are all over 100 years old: Laura Secord Homestead, McFarland House, and Old Fort Erie. While most areas are accessible, some are not, having second storeys that are accessed by stairs. We are mandated to preserve our historic buildings, and renovation to provide accessibility to the upper levels is not feasible. Heritage site staff are committed to providing all visitors with an enjoyable experience and will provide a personalized interpretive experience wherever possible. Regular admission will be discounted at historic sites where full accessibility is not available. This discount does not apply if the customer is purchasing an admission package that is already discounted such as the Niagara Heritage Trail Pass.